Austrian-born Eva Saischegg has been involved in sports and fitness her entire life. However, it wasn’t until 2015 that she came under the spotlight. This was the year when she wowed the judges in her first-ever fitness competition. After stepping on the stage for the first time, Eva became enthralled with bikini competitions. So much so, that she decided to a build a career out of her passion. Eva soon began participating in the contest after contest, piling up awards in her trophy cabinet. As she continued to make waves in the fitness industry, Eva attracted numerous followers to her sites. With her victories at bikini shows, she’s quickly risen to become one of Austria’s most renowned fitness influencers. Eva’s main ambition now is to become a bikini pro. With her awesome work ethic and attitude, she’ll be sure to accomplish her goal in the very near future. Eva trains six days per week, focusing on her form and a full range of movement when performing exercises. In terms of cardio, Eva performs it only when she prepares for a contest. She’ll typically do 30-60 minutes of cardio, 3-6 times per week throughout this period. As a fitness competitor, Eva has an ‘off-season,’ and ‘in-season’ diet. When not competing, she’ll consume calorie-dense foods which allow her to sculpt and shape her physique. As she comes closer to the contest date, she’ll gradually reduce her calories. However, Eva will make sure to maintain a high protein intake during this period to avoid losing muscle. The closer she gets to the contest, the more strict her diet becomes. This means there are no ‘cheat foods’ allowed when Eva competes. It’s only after her contest is over that she’ll allow herself to have a more relaxed diet. Growing up, Eva dreamed of building a fit and lean physique. After embarking on her journey in fitness, she made this dream a reality. Looking through her career and life, Eva has achieved an inspiring transformation. She’s now an influence for everyone who follows her online. 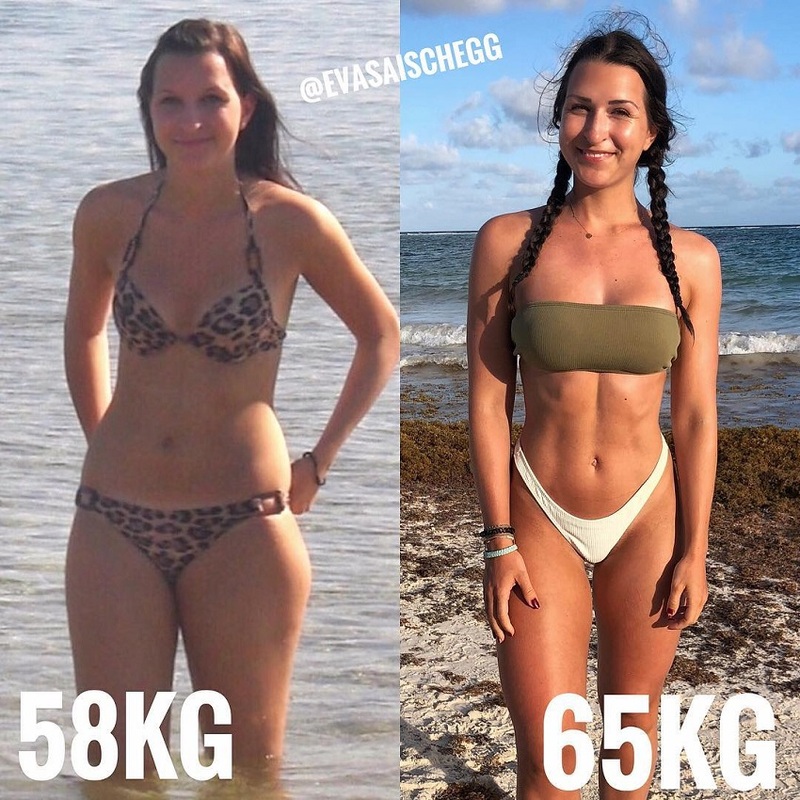 Here’s what we can learn from Eva Saischegg: Set measurable goals, keep moving forward, and don’t let anything stop you from getting to where you want to be.